*The perfect guide for parents, grandparents, nannies or childcare owners to start guaranteeing longer, independent napping. For children ages birth-4 years old. 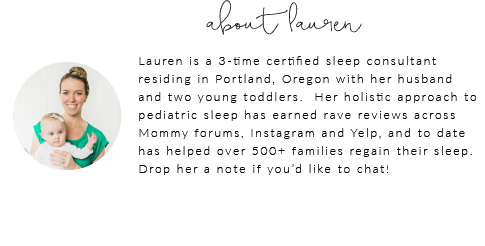 This Sleep Survival guide is exactly what every first time or seasoned parent needs to know about encouraging longer naps and even independent sleep if you wish! With a new baby in the house, it can be difficult to research hour after hour online trying to find the reason WHY your baby takes short naps, or struggles to fall asleep independently. This sleep-shaping guide is packed with amazing modern sleep secrets and EASY tactics previously only shared with full-time clients, and will set you up to have sleep success long past the 24+ month mark by assisting you in gently creating desirable nap time habits. DOWNLOAD NOW- don’t wait until your baby is 2+ years old and still not napping! You will wish you had this from the beginning!